How Much Do Aluminium Bi-Fold Doors Cost? Bi-fold doors normally cost anything from £4,055 to £4,966. This price is dependent on a number of factors based on what you choose for the final design. Including how many leaves (or panes) your bi-fold door is made up of. The price list below will give you confidence when choosing your aluminium bi-fold doors, giving you the knowledge to find yourself a fantastic deal. Alternatively, you can use our online aluminium bi-fold doors prices calculator to get instant access to competitive prices. Below you will see guide prices based on four popular sizes of white aluminium, internally beaded aluminium bi-fold doors. These doors feature toughened double glazed glass, energy efficient glazing and an external cill. What Bi-Fold Door Configurations are Available? Bi-fold doors are extremely customisable. You can have from three leaves upwards to an even eight leaves. Have them opening inwards or outwards. Have a one plus seven configuration with the main opening on the left. Or, a seven plus one configuration with the opening on the right. You can have the main opening wherever you like within the leaves. Watch our video below to understand more about bi-fold door configurations. 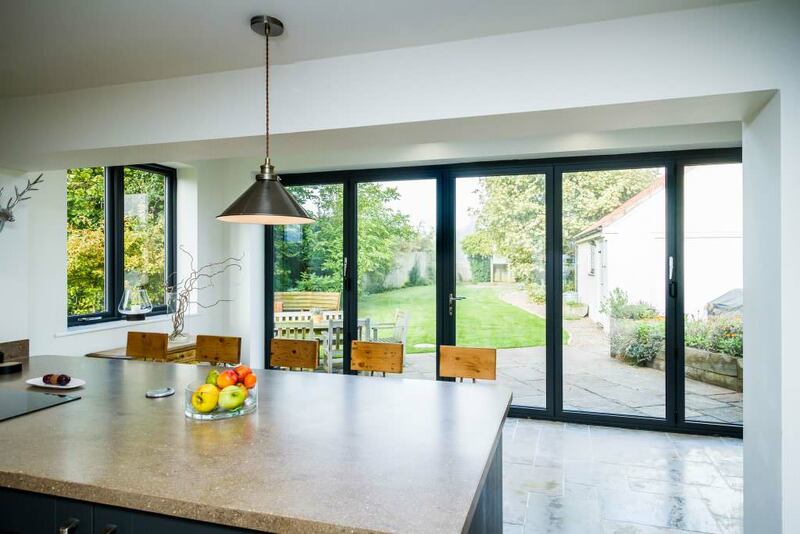 What Makes Aluminium Bi-Fold Doors Right For Me? Aluminium bi-fold doors are perfect for properties of all styles. Their slim, stylish aesthetic and intelligent, highly practical design often leads homeowners to believe they carry a costly price tag. However, is this an accurate approach? The reason a list of aluminium bi-fold doors prices may have eluded you so far is simply because they can be misleading. This is because the price is largely dependent on homeowner specifications and leaf-count. Although this may be the case, it is still possible to calculate how much your aluminium bi-fold doors prices will be. This can be achieved by specifying certain width and height parameters giving a frame of reference for the overall cost. This way, you’ll easily be able to gauge how much you’ll need to spend when you fit your home with high quality doors. The aluminium bi-fold door prices you receive will be dependent on a few pre-installation choices. This includes the size of the space you wish to fit them in, the number of panels you desire, the colour chosen and any additional hardware you select. 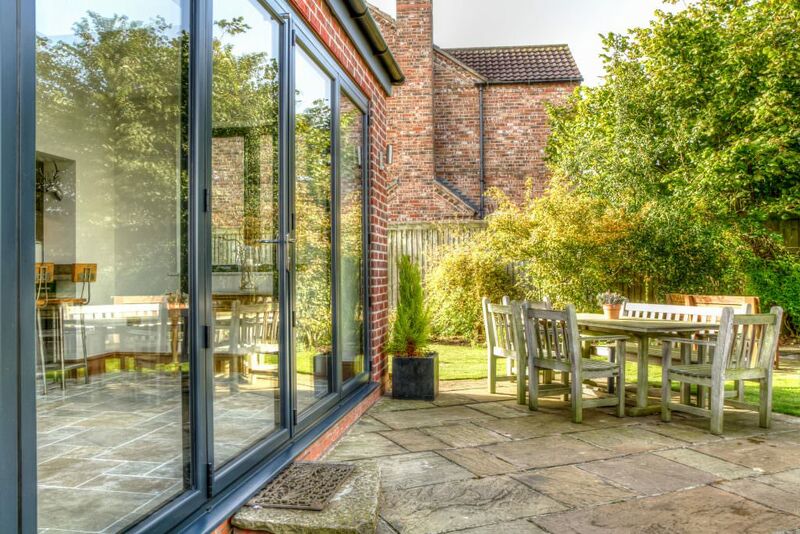 Aluminium Bi-Fold Doors Prices: What Do You Get for Your Money? Our aluminium bi-fold doors prices may save you money, but it doesn’t mean you miss out on quality. 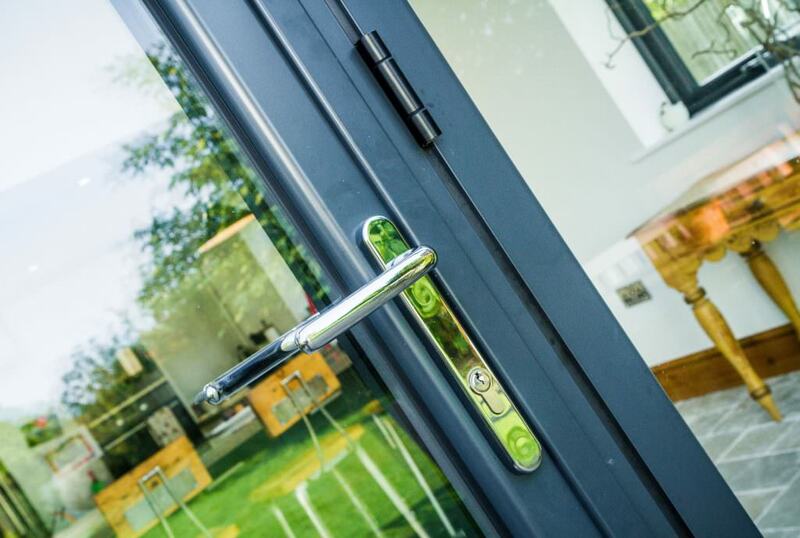 The doors we offer excel in thermal efficiency, security and durability. This ensures you’re getting your money’s worth. Here at Sternfenster, we have a wide network of professional, reliable Approved Installers that operate nationwide. They deliver our competitively priced aluminium bi-fold doors to happy customers. With us, you’ll get more bang for your buck with doors that offer you more, for less. It’s not just our aluminium bi-fold doors prices that make them so accessible. Their intelligent design makes them perfectly suited to both modern and traditional homes across the UK. This means that no matter your property style, you won’t have to miss out on a bargain. 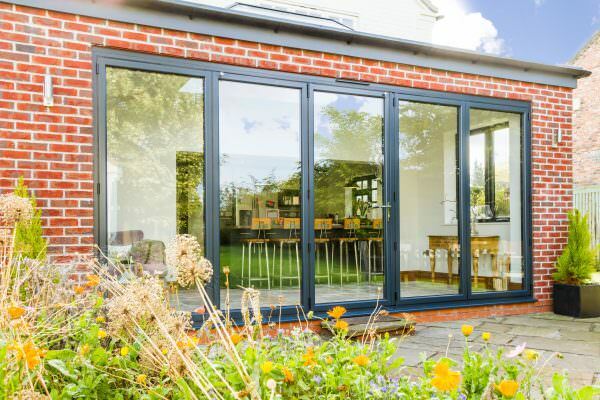 Aluminium Bi-Fold Doors Prices: Are The Doors Professionally Installed? Our team of accredited, certified and highly experienced workmen have accrued a wealth of experience in installing aluminium bi-fold doors to the highest standards. This means you’ll enjoy a perfect fit, every time. Our competitive aluminium bi-fold doors prices allow you to enjoy a professional, reliable and courteous service in a cost-effective way. However, they also ensure your new aluminium bi-fold door will be a worthwhile investment for your home. Through an outstanding installation, we can ensure your new aluminium bi-fold doors operate to the highest standards. Ill fitted doors can impact home performance and aesthetic. We’ll guarantee a fit that perfectly suits the aperture that you have. This means your doors will uphold the standards of thermal efficiency, security and durability they were designed to do. Aluminium Bi-Fold Doors: What Am I Paying For? Aluminium has proven to impress homeowners across the UK. It combines a slim and sleek profile with a high degree of robustness and rigidity. This means our aluminium bi-fold doors are highly secure from the ground up. This degree of security is then enhanced with high performance, multi-point locking mechanisms. These are expertly installed into the frame to ensure maximum performance. By incorporating these locks into the door frame, leverage points are notably reduced. This means potential intruders won’t be able to gain access to the lock in order to break it open. Our aluminium bi-fold doors can achieve Secured by Design standards of security. Which means they have been tried and tested in accordance with the police preferred degree of security. It’s never been easier to enjoy complete peace of mind. How Can I Customise My Aluminium Bi-Fold Doors? We want you to be able to personalise your new double glazing so that it properly reflects your aesthetic tastes and the decor of your home. We offer a number of bi-fold door configurations, including open in, open out, stack from the left or the right. You can also choose from our fantastic range of RAL colours to match your new aluminium bi-fold doors to your home. From Velour White to Caramel and Amazon Green to Desert Grey, there will be a colour that meets your standards. How Do I Measure My Aluminium Bi-Fold Doors? Determining the size of your aluminium bi-fold doors is easy. Take three width and three height measurements and minus 10mm from the smallest measurement. This will tell you the final size of your order. You should also allow a fitting tolerance of 10-15mm. This ensures you get a fit that is flexible and reliable. Defining the size of your door allows you to get an aluminium bi-fold doors price that is cost-effective for you. If door measurements are wrong, you may get a new addition to your home that is badly fitted. This could let in draughts and provide a weak spot. What Makes My Aluminium Bi-Fold Doors Low Maintenance? Our cost-effective aluminium bi-fold door prices allow you to enjoy the cutting-edge of door design for less. However, it also allows you to enjoy the benefits that aluminium as a material brings. Outclassing their timber counterparts, aluminium bi-fold doors maintain their form and function over time. This stands true even after extensive use. Never rotting, warping or discolouring over time, our aluminium bi-fold doors won’t deteriorate over the years. This durability means you won’t have to spend money on repairs or maintenance. It also means that our aluminium bi-fold doors prices allow your money to go further. It will reduce the need to replace your doors due to damage and inferior design. Are Aluminium Bi-Fold Doors Right for My Home? Exuding a contemporary aesthetic, aluminium bi-fold doors can be tailored to suit all property types. Whether your home is a heritage, period, traditional or new build, we have the perfect door design for you. This means that no homeowner needs to miss out on our exceptional aluminium bi-fold doors prices. We strive to make sure all of our customers have access to the very best home improvements on the market. This is made possible by a wide range of colours, finishes and hardware options. These options allow you to create a modern design to capture a traditional aesthetic. You can also choose from a wide range of options to enhance the contemporary flair. All colour and hardware options we offer match the high quality standards of build and performance that we offer. This means that the options we offer will help to ensure quality is maintained across the board. Where Can I Find Instant Aluminium Bi-Fold Doors Prices? You can use our online aluminium bi-fold doors prices calculator. It’s never been easier to get accurate, free and highly competitive aluminium bi-fold doors prices. It’s incredibly simple to use allowing you to tailor your aluminium bi-fold door price to your specifications. Alternatively, why not use our dealer search function to find a Sternfenster Approved Installer near you. Guarantee yourself a perfect fit and a fantastic price by giving us a visit. Our aluminium bi-fold doors are the surest way to welcome quality into your home. We’ll be able to tailor your aluminium bi-fold door price to your exact specifications, making the whole process as cost-effective as possible for you. We pride ourselves on offering a service that is sure to satisfy across the board.